They even had a video introduction by the Chief Inspector, Dr Bill Maxwell. I'll resist the temptation to post it here in the hope that people will go to the site and see it for themselves. 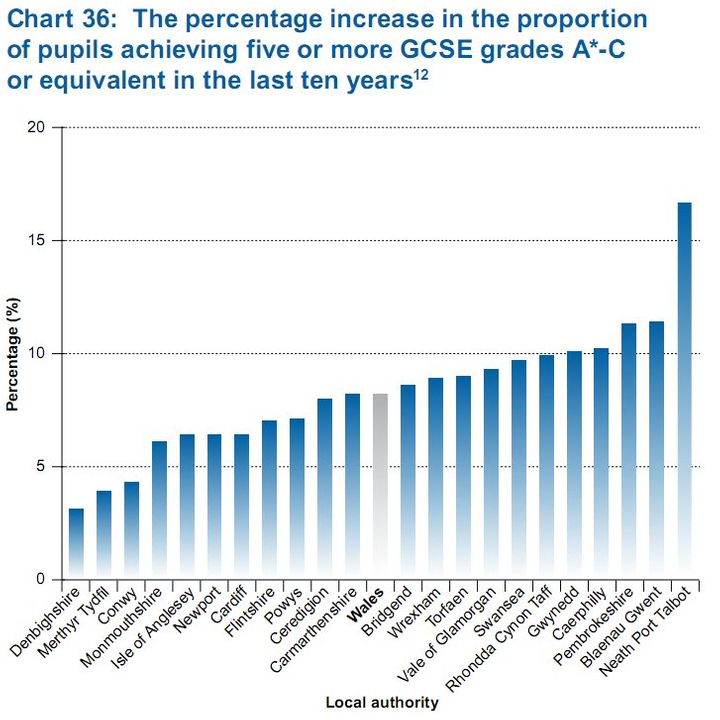 It shows a very wide discrepancy between GCSE performance by local authority. 41% in Merthyr compared with 65% in Ceredigion. Well done Ceredigion. But I can't really discern a pattern here. I'd have thought performance would reflect wealth. Can anyone shed any light or offer any comments? I wonder if it's worth asking whether such wide discrepancies, if not understandable in terms of relative wealth or social deprivation, indicate that some local authorities are simply not up to speed. Only last year Denbighshire, who are close to bottom in both tables, came under severe criticism from Estyn. You said hats off to Ceredigion, MH. I say hats off the Neath Port Talbot too, that improvement in performance is amazing! 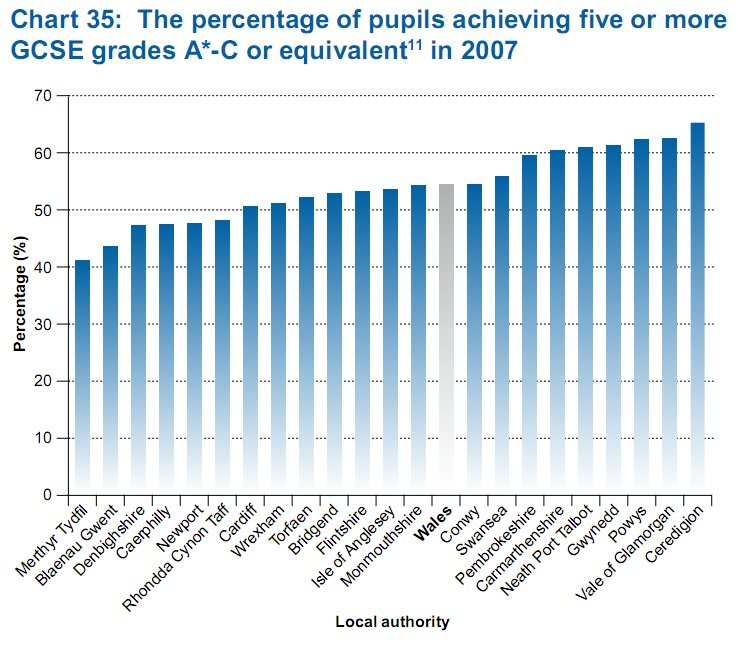 But I don't understand why Merthyr and Denbigh should be doing so badly either.